Fourth way schools have existed and exist, just as schools of the three traditional ways existed and exist. But they are much more difficult to detect, because—unlike the others—they cannot be recognized by any one practice, one method, one task, or one name. The Fourth Way is a way – a path. As such, it can only be understood by traversing it. The ‘system’ as presented by Gurdjieff and Ouspensky, is a twentieth century expression of the Fourth Way – but it isn’t the way itself. It helps describe this ‘way’ to people unfamiliar with it, by outlining its character and flavor. It is a distant approximation of the thing itself. Indeed, Gurdjieff and Ouspensky were each eventually forced to abandon the system they so thoroughly taught, once they found their students losing themselves in fanciful debates over the system at the expense of traversing the way. The system began to bar the way. Consequently, it would be vain to add more systematic explanation to the volumes that already exist on the system. However, much less has been expressed on the Fourth Way as a tradition – as an influence. Yet, for one traversing the Fourth Way, it is crucial to gradually become familiar with the greater tradition of which he is part – of connecting with something bigger and higher than himself. Below, we will expound on the Fourth Way tradition, of which Gurdjieff was a twentieth century agent. 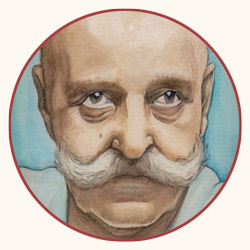 The system, as presented by Gurdjieff, was not a man-made system. While Freud formulated psychoanalysis through his own observation and Darwin formulated evolution through his own studies, Gurdjieff’s system could not have been conceived by a single man or even a group of people, for its purpose would instantly be defeated. That purpose is elevating the human to the superhuman. Human mind has definite limits beyond which it cannot jump, and any system that claims to pull man above himself must originate from beyond man’s limitations. That ‘beyond’ need not overly concern the newcomer to the Fourth Way. It will become more evident as he progresses along the path. Gurdjieff called it ‘higher mind’, a source of ‘objective knowledge’. Objective knowledge means knowledge of the objective principles that govern the universe. In this respect, the Fourth Way follows the Hermetic principle of As above so below and as within so without: it outlines the fundamental laws that govern any cosmos, and thereby sheds light onto the micro-cosmos man. It doesn’t belong to anyone, hasn’t originated from anyone and, therefore, will not end with the death of anyone. Accordingly, Gurdjieff presented his system, not as his own invention, but as an ancient tradition. It was not an exotic compilation that he had patched together during his travels through the east. It existed in complete form before he had met it – indeed, thousands of years before he had met it – and had been passed from one age to the next by people who had practiced its principles. This is a crucial point to bear in mind when approaching the Fourth Way, because in our age, it is naturally associated with the man who presented it in the twentieth century. While Gurdjieff could have claimed exclusivity to the knowledge that only he seemed to possess, he didn’t, and for a specific reason. The Fourth Way, by definition, has to have originated from above to below, or it couldn’t live up to its own claims of objectivity. As Above so Below implies that it is impossible to study man without studying the universe, and it is impossible to study the universe without studying man. The higher and the lower mirror each other, and man could only learn certain things about himself by observing the outside world. Hence, the Fourth Way is organic: a formulation of the basic laws that govern man, nature and the universe. Man need not delve too deep into greater or smaller cosmoses in order to understand his own. In this respect, Gurdjieff stressed another prerequisite for proper use of the Fourth Way: that man foremost study himself, and use knowledge of greater or smaller cosmoses only in so far as they increased his self knowledge. Modern science altogether overlooks this principle, directing its focus onto smaller or greater worlds while losing sight of man; modern psychology errs in the other extreme, by focusing on man and disregarding his resemblance to the greater and smaller worlds around him. The call to self-knowledge is ancient. Know Thyself, normally ascribed to Socrates, actually originates from the earliest recorded teachings. Self-knowledge is not flattering, and man will tend to study anything but himself. Yet based on the above Hermetic principles, man’s self-ignorance stands at the basis of his ignorance of everything. In order to know anything, man must first know himself. For self-knowledge, Gurdjieff introduced the principles of scale and relativity: that the value of any knowledge had to be determined by its relevance to self-knowledge. Man had to observe the other cosmoses only in relation to himself, and by the same token, he could safely reject any studies that bore no impact on self-knowledge. Relativity introduces valuation to the acquisition of knowledge and the investment of effort. Another objective aspect of the Fourth Way was Unity and Multiplicity. “Knowledge means knowing all,” said Gurdjieff, quoting an ancient aphorism: “Knowing a part means not knowing. To know all, one must know very little. But to know that little, one must know a great deal.” Hence, the aim was not to know all and everything, but to know that quintessential ‘little’ that implied all and everything. The Fourth Way is, ultimately, a practical way that promises its adherents genuine change of consciousness. It is not about learning more, but becoming more. To bridge the gap between knowledge and wisdom, practice is required, and for frequent practice brevity is required – transitioning from words to deeds. Prolonged consciousness demands a moment to moment effort, the ability to sustain one’s aims beyond a fleeting desire or an associative reminder. Practical work uses words to transcend words. Self-remembering is the bridge between knowledge and wisdom. It is an effort to be aware of oneself in the present, to break away from whatever imaginary world one may have delved in a moment ago and return to reality. It is an instantaneous internal reorganization: pushing one’s mechanical thoughts and emotions to the background while bringing one’s Higher Self to the forefront – remembering one’s Self. Gurdjieff introduced self-remembering in one of his early talks with his Russian students, inviting them to share what they had seen by observing themsveles. None had noticed the most important fact: that they didn’t remember themselves. 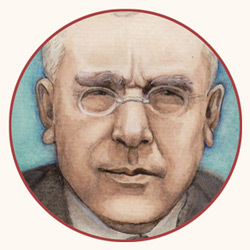 Ouspensky, who narrates this discussion, begins experimenting with self-remembering and subsequently realizes its key role in the work towards consciousness. Here, as before, Gurdjieff borrows and translates an old practice. The Upanishads were an extensive treatise on the Self, on the need to remember it and bring it to the forefront. Sufism speaks of “Remembrance of God” in terms very similar to Gurdjieff’s later expression. But the term ‘God’ had lost its meaning by the twentieth century, associated too deeply with religions connotations that prevented people from relating to it practically. Gurdjieff was translating older systems into language palatable to modern western man. Hence the difference between the system and the Fourth Way: while the ‘system’ is Gurdjieff’s twentieth-century expression, the ‘Fourth Way’ is the sum of all past and present expressions of this way – the long body of tradition that appeared and disappeared on the stage of mankind. Earlier expressions of the Fourth Way would not have called themselves ‘Fourth Way’. Gurdjieff called his presentation ‘Fourth Way’ to distinguish it as one of four possible ways to awakening. All four lead to the same end: awakening of consciousness, becoming real, being able to Be. The spiritual paths that lead to that same goal, however, may differ in character, like different roads leading to a similar destination. We will not expound on the three ways to avoid straying from our main focus. These are well described in In Search of the Miraculous. What isn’t clearly emphasized there, however, is that, while Gurdjieff presents three archetypes of ways based on human types, this is true only in theory. In practice, any ‘way’ will prove a blend of all three ways with a center of gravity on one. The Fourth Way differs from these in that it strives to blend all three ways harmoniously. We say ‘strive’, for that is the idea. Normally, though, a teaching will begin as ‘Fourth Way’ and evolve to place emphasis on one aspect over the others. It may gradually assume an emotional, religions hue; or it may gradually assume an intellectual, academic hue. This seems to have happened in both Gurdjieff and Ouspensky’s teachings, where each began at a similar place but gradually gravitated towards an emphasis closer to his own natural tendency; for Gurdjieff it was physical movement, for Ouspensky it was intellectual discussion. A fundamental aspect of the Fourth Way, absent in most modern practices of spirituality, is that the spiritual evolution of man has to be linked to a scale greater than man. Man does not evolve solely for his own benefit. He is generally not meant to evolve spiritually, but serves organic purposes, for which his normal undeveloped condition is sufficient. Evolution is a rare exception, a going against the stream, an escape from the general law. The reason spiritual evolution is, at all, possible, is because its benefit to a higher cosmos. Parallel to the downward movement of universal growth – of the endless physical expansion of the universe – there exists an upwards movement towards consciousness, for which a minority of conscious individuals is indispensable. These are the broad and narrow ways mentioned in the Gospels and likened by Gurdjieff to acorns in a field. Of the billions of acorns produced each year, how many will mature into trees? The Fourth Way is, therefore, exclusive by definition. It is not for all. It flatters none. Neither is it a path that can be traveled half-heartedly. It is a last resort, a way for those disappointed with everything else, who have sought yet haven’t found. It is a way for disillusioned people who know too much – who know they have nothing to lose.